Sweet, salty, spicy, sticky, ​umami​. 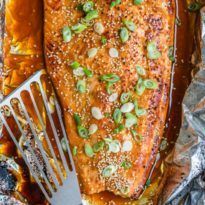 This Asian Salmon in foil is a fool-proof recipe to get dinner on the table fast with the least amount of effort! Wrapping the salmon in foil seals in all the flavor and ensures a tender, flaky texture, while the last two minutes of broiling gives your salmon an irresistible glaze. All you have to do is toss the foil at the end .. no cleanup required. 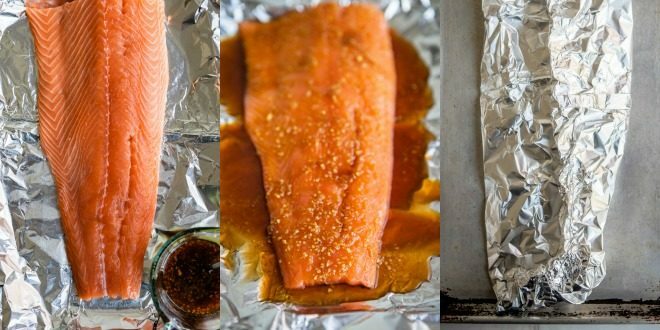 Why should I bake the salmon in foil? Baking the salmon in foil is a simple method that makes cleanup a breeze. The steam trapped inside the foil packet cooks the salmon evenly, giving you a perfectly cooked filet every time. For every inch of thickness, bake at 375 degrees for 8-12 minutes. How do I know when the salmon is done? Salmon is completely cooked when the internal temperature reaches 145 degrees on an instant read thermometer. You can check the doneness of salmon with a fork, too. If it easily flakes and is opaque in color, it’s ready! What is seasoned rice vinegar? Seasoned rice vinegar is made from adding sugar and salt to regular rice vinegar. 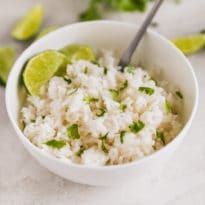 If you only have regular rice vinegar on hand, simply combine 1⁄4 cup of rice vinegar with 4 teaspoons sugar and 1⁄2 teaspoon kosher salt. Use the amount required in the recipe. Will keep in an airtight container for your next recipe. With a spoon, of course! Hold the ginger root in one hand and scrape the peel away with the edge of a spoon. For the most bang for your buck, peel the entire ginger root, grate the amount needed for the recipe, and store the remaining peeled ginger root in a small plastic storage bag in the freezer. Simply grate straight from the freezer each time you need freshly grated ginger. 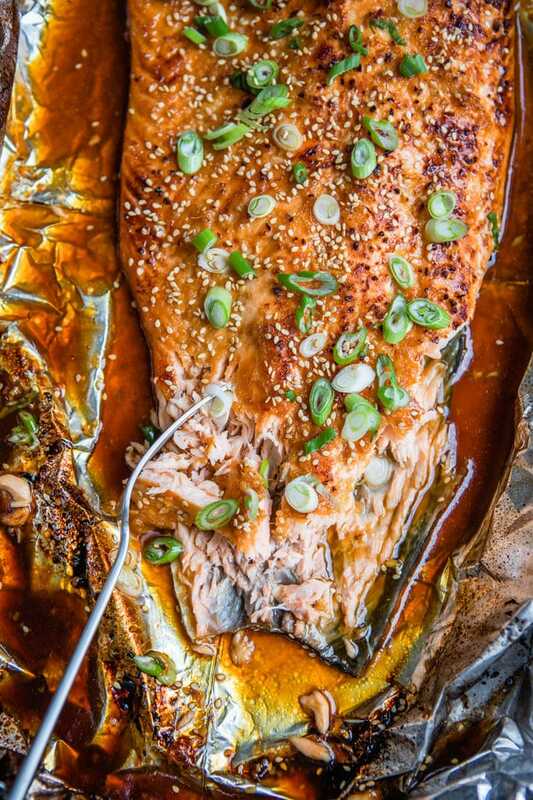 Save this Asian Salmon to your “Main Dishes” Pinterest board! 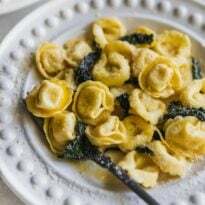 Sweet, salty, spicy, sticky, ​umami​. 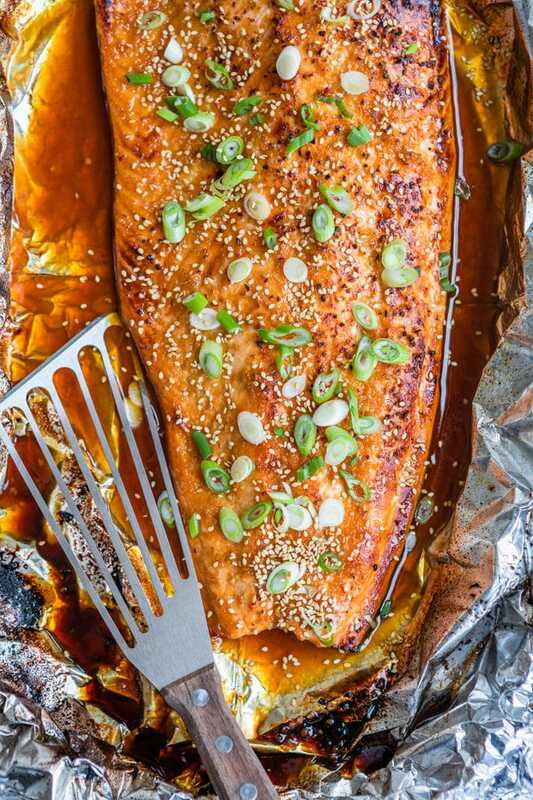 This Asian Salmon in foil is a fool-proof recipe to get dinner on the table fast with the least amount of effort! Wrapping the salmon in foil seals in all the flavor and ensures a tender, flaky texture, while the last two minutes of broiling gives your salmon an irresistible glaze. All you have to do is toss the foil at the end .. no cleanup required. Preheat oven to 375 degrees. Line a baking sheet with foil for easy cleanup. In a small bowl, whisk together honey, garlic, soy sauce, rice vinegar, sesame oil, ginger, Sriracha, a pinch of salt, and a pinch of pepper. Set salmon on prepared baking sheet and fold up all 4 sides of foil. 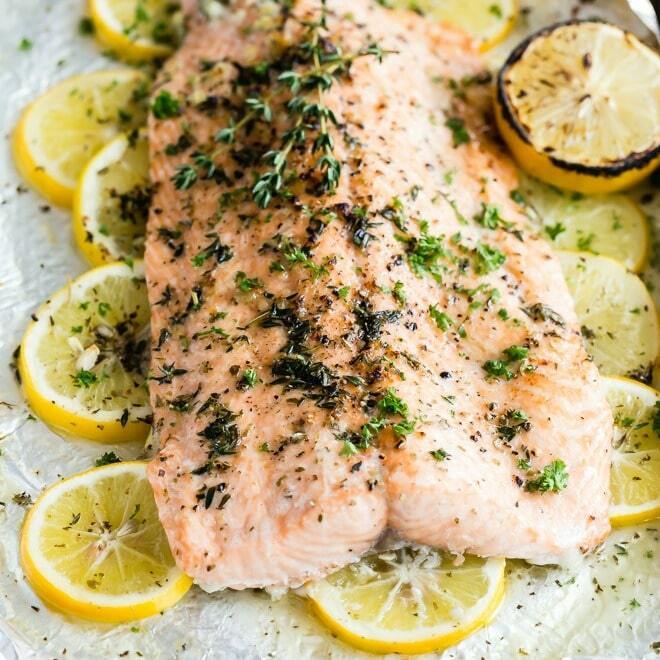 Drizzle or spoon honey mixture on top of salmon. Fold the sides of the foil over the salmon, covering completely and sealing the packet closed. 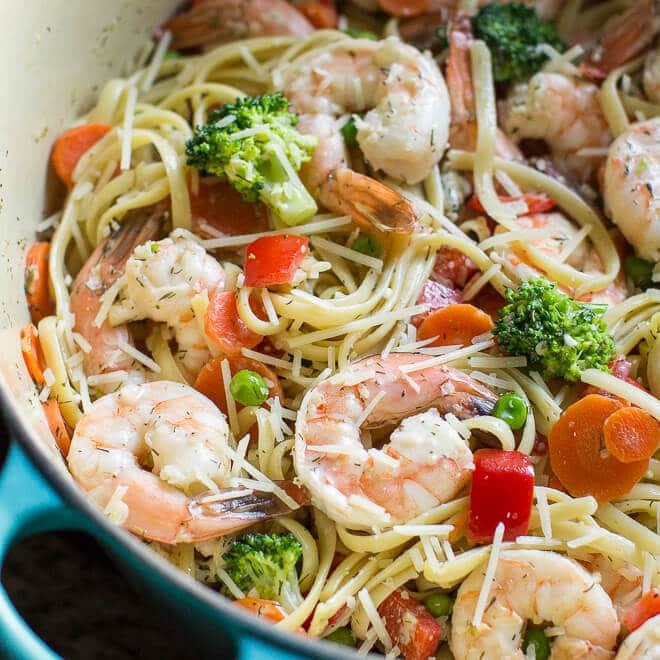 Place into oven and bake until the internal temperature reaches 145 degrees, about 12 to 15 minutes. Open the packet and broil for 2-3 minutes, or until caramelized and slightly charred.